Organic fertilizers generally get made up of 3 things: animal matter, human excreta, or vegetable matter. Synthetic fertilizers get produced from minerals such as phosphate rock or industrially produced chemicals like ammonia. Peat, the beginning stage of coal, also gets used with organic, not as nutrition, but as an aerator and water absorbent. Plant matter comes in the form of composts, and many byproducts of the meat processing industry get used as animal matter. These offer essential nutrients for plants not available in other types of fertilizers. Organic fertilizers offer top-quality nutrients for your tree’s soil. 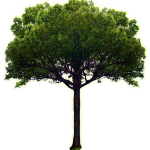 If you require organic fertilizing services in Fort Worth, Integrity Tree Care can help. For more information, you can reach one of our representatives at (817) 714-1777 or (214) 971-1618.